Thank you so much for joining me to celebrate another wonderful week of recycled goodness! I am so happy to welcome back all six contestants and show you what they created from an old shirt. The creativity is just making my jaw drop to the ground! Please click on through to check out this weeks amazing entries and vote. You can vote once every 24 hours so feel free to come back and pick your favorite again tomorrow. A thrifted large paisley shirt, which cost $2. 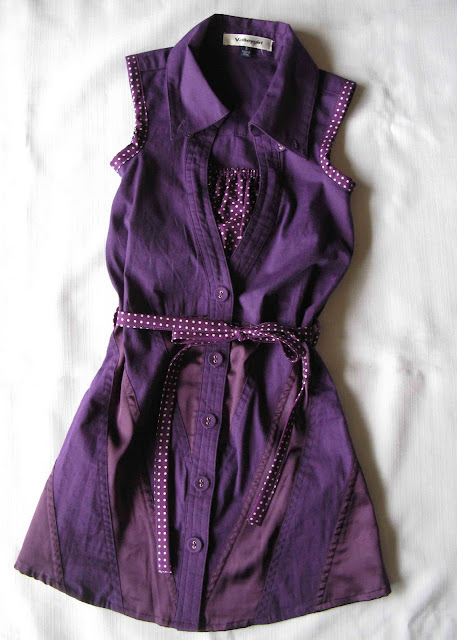 Has been refashioned into a sleeveless tunic, together with a thin obi belt. Using craft ribbon and one of the shirt sleeves to make an obi belt, and the other sleeve to make ruffle flowers handstitched to the front of the tunic. The front of the original paisley shirt, is now buttons down the back. 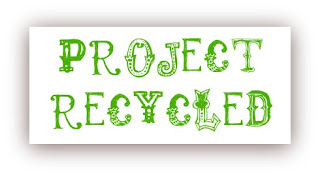 I enjoyed looking at everyone's entries in round one of Project Recycled. There were so many fabulous ideas. I'm pleased to have made it into round two. Thanks to everyone who voted for my first project. 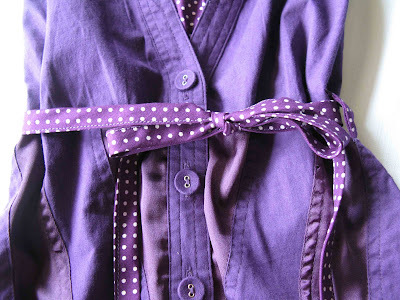 This week's project is to take a shirt and turn it into something else. 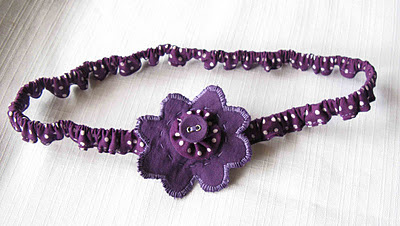 I've used a woman's shirt and turned it into a little girl's dress, complete with flower headband. Just as well my photography skills are not up for voting. The photos were taken on different days under different lighting conditions. 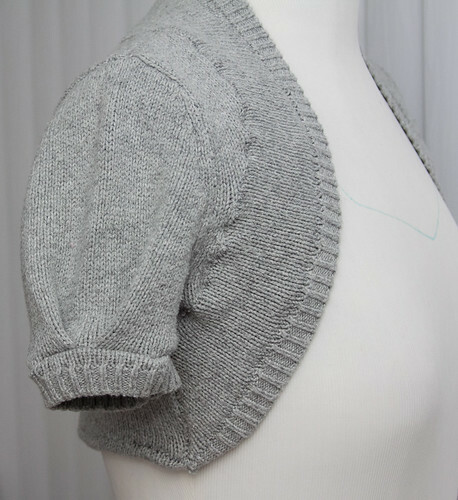 First step was to take off the sleeves and reshape the armholes to fit a much smaller arm. I finished the armholes with some bias I made from purple and white polka dot fabric I had in my stash. 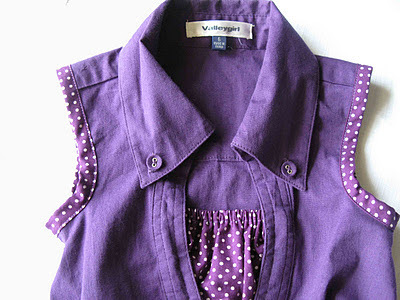 The neckline on the original shirt was way too low for a little girl. To overcome this, I made a gathered insert and hand stitched in place. 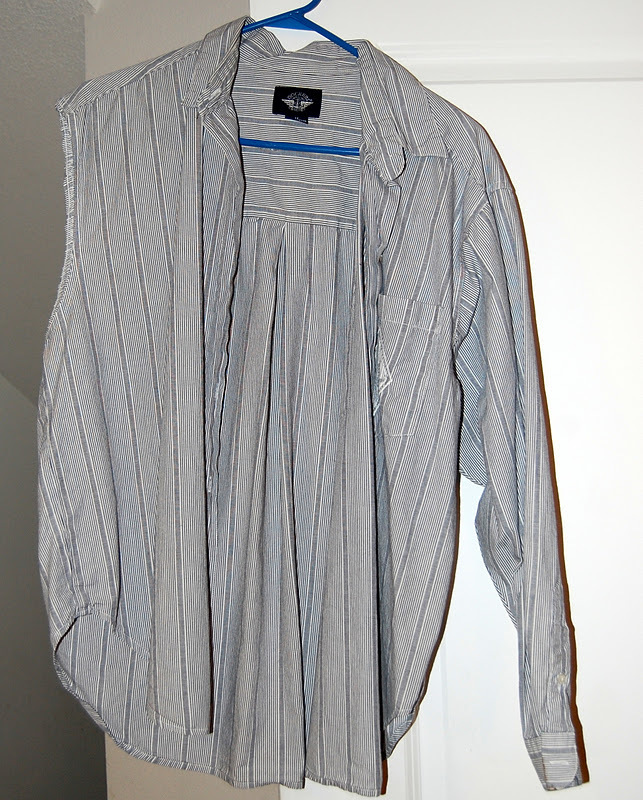 The shirt was the perfect length for a dress, but too wide. 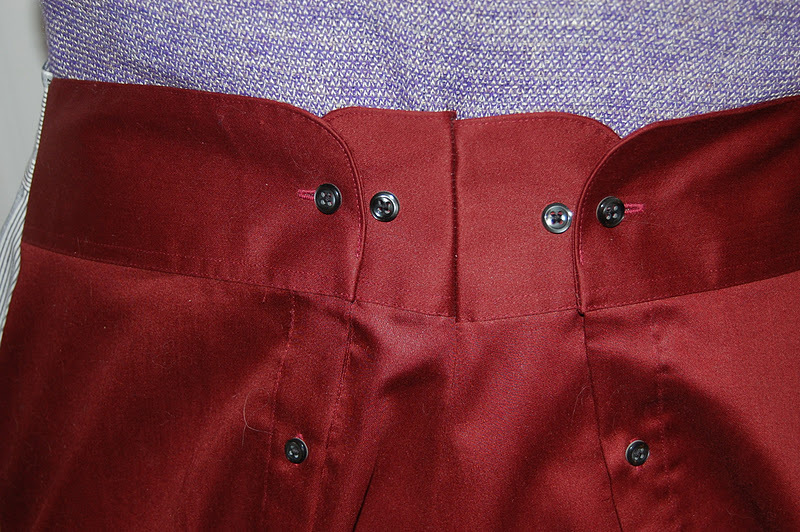 To take width off the top, I unpicked the bodice and side seams, took out the gathering for the bust, cut off fabric at the side and restitched. I added a belt and tabs on the waistline. Oh Happy Day! Week 2 and time for some shirt Rehab!!! Oh decisions... I knew what shirt but what to make.. think it is time for another skirt,.. and this from the girl who had to be forced to wear skirts and dressed when a kid! 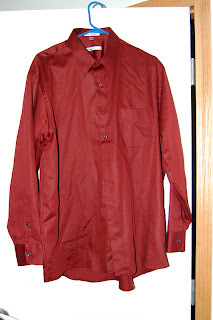 I found this wonderful reddish brown silk like shirt at Goodwill... fabric is very silky like and love the color. I also wanted some contrast so grabbed this striped shirt out of my closet... it was a tad too short, so did not wear it as much as I should! Now, what kind of skirt... there are several tutorials about making a skirt from a men's dress shirt, but I wanted something different.. I also did not want elastic.... soooooo decided to use the cuffs as the skirt band!!! Yeppers, then to put on.. are you ready for it? 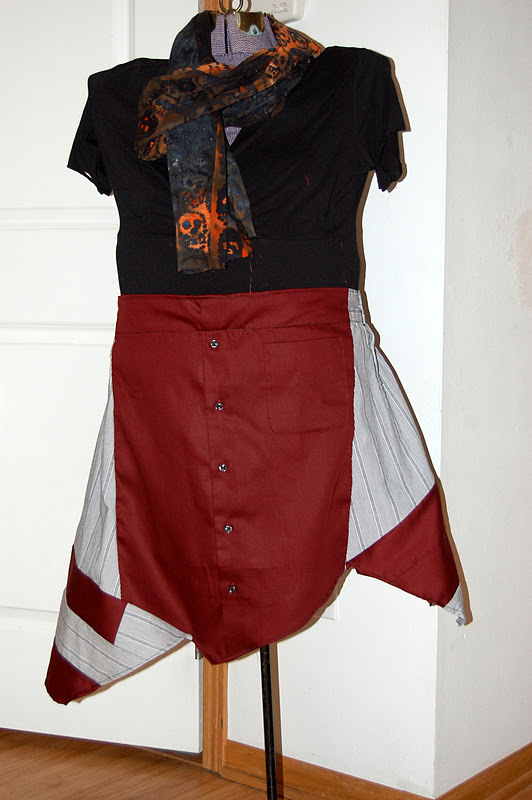 The other thing I wanted.. an asymmetrical skirt.. Love them! 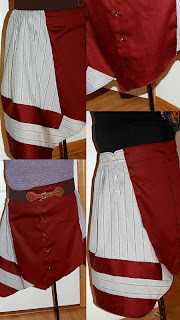 Ever since I had a handkerchief skirt and fell in love with the different lengths. Now with this skirt.. there is no specific front or back, you can move it around to fit your needs! Pocket in the front? why not.. The back.. Perfect! Or you can add a belt! Hi! I am so excited to be in week 2 of Project Recycled! 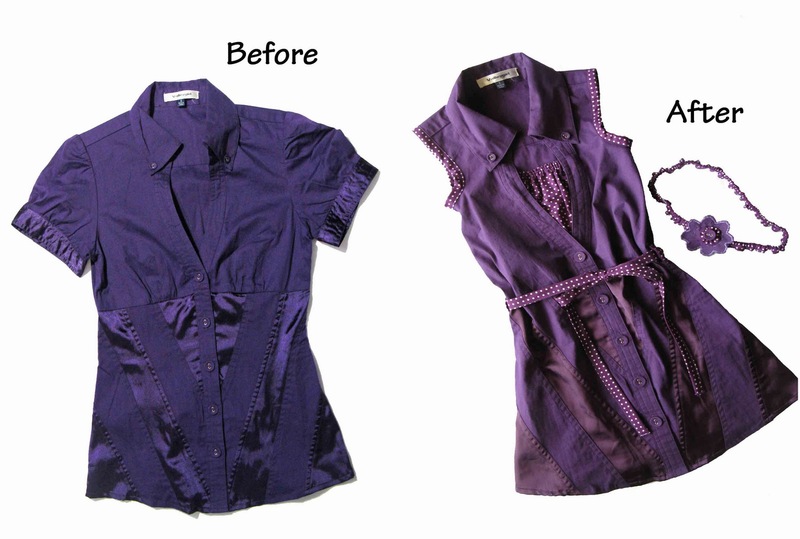 A shirt refashion, one of my favorite things to do. I took a regular mens dress shirt and made a purse. The strap is an old tie. The front is just like the front of the shirt, the pocket is perfect size for a cell phone. The tie is tied just as it would be around a neck. I used the cuffs of the shirt to make a larger pocket on the back of the purse. 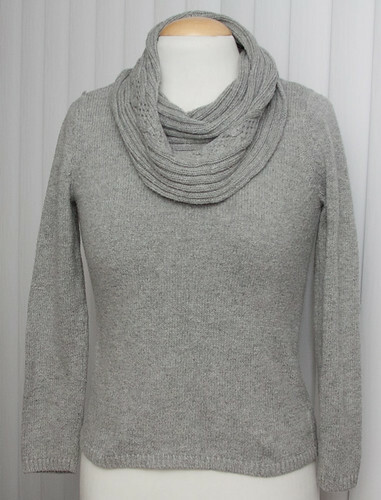 I bought this sweater a while back primarily because I liked the cowl on the neckline. 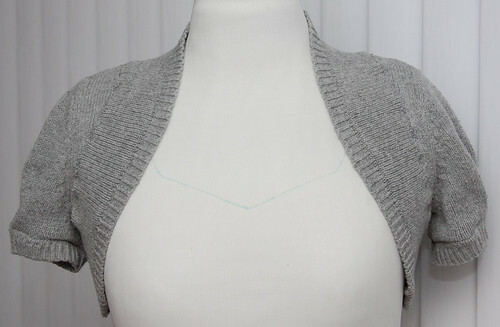 However the rest of the sweater was shapeless and too short (both in the torso and the arms). 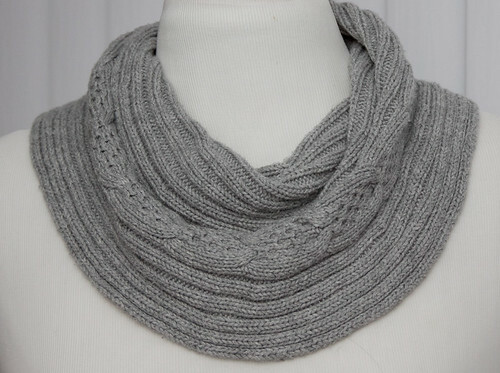 I decided to take it apart and turn it into a shrug and a separate cowl. The cowl was the easy part. I simply snipped it off at the neckline, keeping the seam on the edge so it wouldn't unravel. The shrug was more involved. 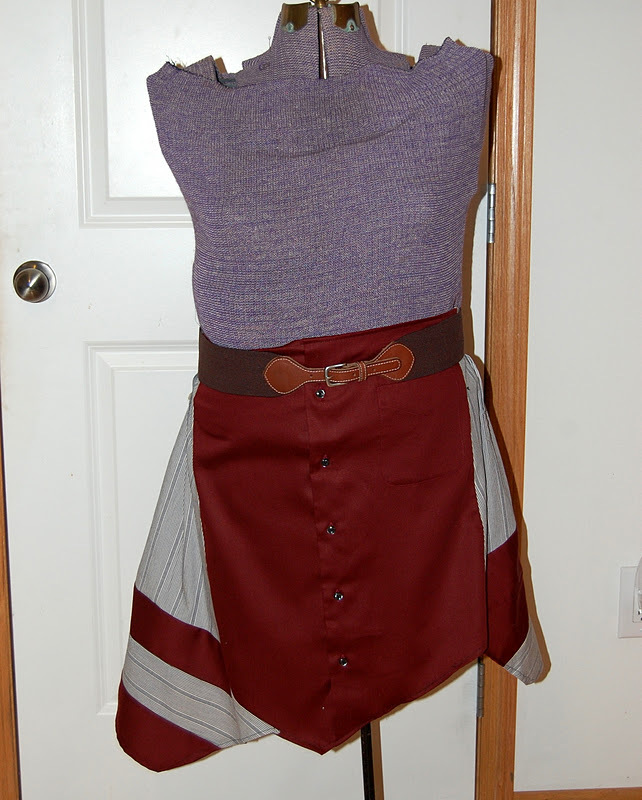 I took the hemline and used it around the front and neck of the shrug. 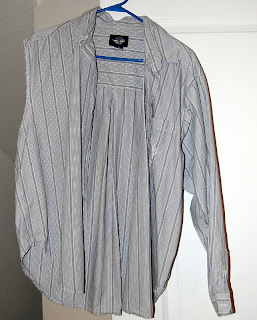 I also re-used the hems of the sleeves to make short sleeves.